Pattern requires average 700 Grams of DK Yarn for Shawl. Shawl shown is crocheted in Dk. Flowers are crocheted in 4Ply. 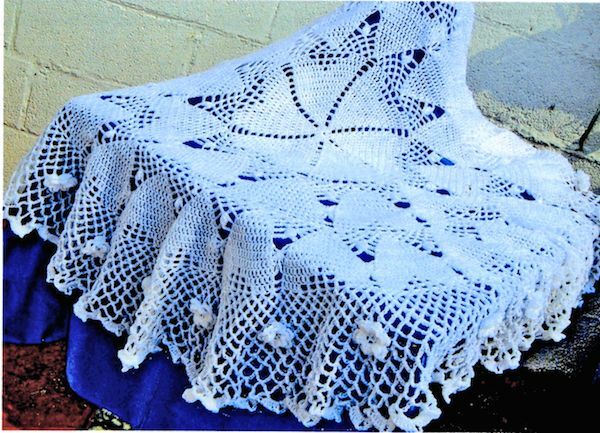 Pattern requires 4mm & 4.5mm Crochet Hook for Shawl and 3mm Crochet Hook for Flowers.